I certainly hope Mike Krzyzewski did all the right things pertaining to a former player's alleged sexual assault. Duke University is finding itself once again embroiled in a sexual assault case but this time around it isn’t the storied LaCrosse program. This time around the stakes are much higher because the spotlight is now on the most prominent person at the University and that would Head Basketball Coach Mike Krzyzewski. Back in late January, Coach K dismissed Rasheed Sulaimon for “repeatedly struggled to meet the necessary obligations.” Now as it turns out, Sulaimon is alleged to have been in two different sexual assaults at the school. Both accusers allegedly told people about the alleged attacks but did not go to anyone of authority. Options included the Durham Police as well as the Office of Student Conduct on campus. According to ESPN, the two women chose not to got to authorities because they feared what could come from the Duke fan base. If you think that line of thinking is wrong then read the story about the reporter who covered the Jameis Winston case in Tallahassee, Florida. He was barraged with death threats and was attacked at every turn for simply doing his job as an investigative reporter. I have no idea if what took place with Sulaimon and the two women involved but that won’t be the biggest story about this by a long shot if there is evidence that Mike Krzyzewski knew about this and did nothing. 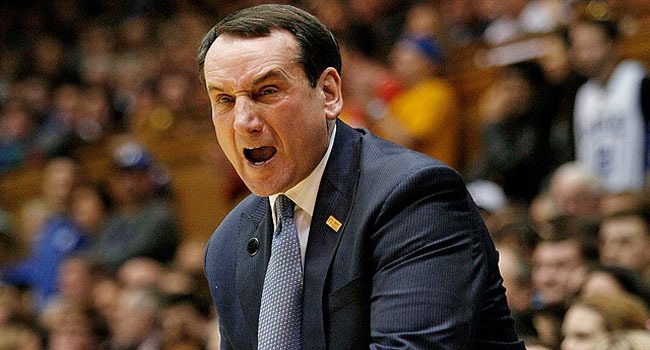 Coach K has power beyond belief on the Duke campus but people also said the same thing about Joe Paterno and Penn State and we know how that ended up. If ESPN’s sources are accurate, then Krzyzewski did indeed know about about the alleged assaults as far back as as March of 2014. I am in no way suggesting that this is on par with the events of Penn State; hopefully nothing ever will be again. But this can’t be waved away, not in 2015 where the media and more importantly social media are everywhere. We’ve already seen a legendary coach taken down for not doing enough. I sure would hate to see it happen to another. Fans need to check their memories a bit when it comes to the greats missing shots like LeBron did. I’ve written in these very pages before that I will never view LeBron James in the same stratosphere as Michael Jordan and the most simple reason why is the lack of a killer instinct. That said, the people throwing darts at James for his two missed free throws with just four seconds remaining in Houston the other night need to chill out. I’ve got news for you folks… Both Michael Jordan and Kobe Bryant missed plenty of game-winning shots during their careers. To say they didn’t means you have not seen enough of either of them because I’ve seen it and I know many others have too. Like I said, I will never be able to place James above His Airness simply because he lacks the titles but just as importantly he lacks the killer instinct that drove Jordan so hard. That’s not his fault, it’s just how it is. Either way, lay off LeBron for crying out loud. There isn’t a professional alive who hasn’t missed key shots down the stretch.